"Spending three weeks cruising on a motorcycle through the Baja California Peninsula in Mexico sounds like the ultimate dream. 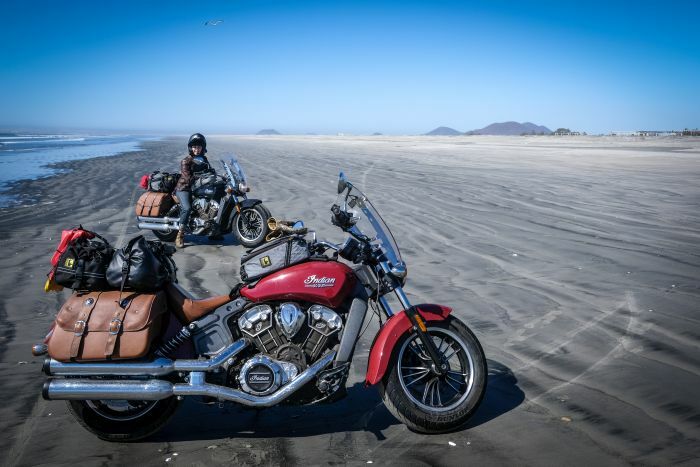 Justin and Kyra of Perpetual Motion hopped on a pair of Indian Scout motorcycles for an incredible trip through the northern half of Baja. This first episode gives you a glimpse into their adventure and the memories they made." Check out our feature on RightThisMinute, the viral videos show on CBS!